I'll be ChiILin' with Chi, IL's New American Folk Theatre for the press opening of this world premiere on September 4th. Check back shortly after for my full review. We've adored New American Folk Theatre's past productions and are eager to see their latest. New American Folk Theatre is pleased to present the world premiere of SCRAPS, the story of the Patchwork Girl of Oz, many years after her celebrated adventures in L. Frank Baum’s Oz book series. Written by Co-Artistic Director Anthony Whitaker* and directed by Co-Artistic Director Jamal Howard*, SCRAPS will play September 1 – 29, 2018 at The Den Theatre (2A), 1331 N. Milwaukee Ave. in Chicago’s Wicker Park neighborhood. Tickets available at www.newamericanfolktheatre.org or by calling (773) 697- 3830. SCRAPS features Brittney Brown, JD Caudill, Preston Choi, Kelly Combs, Jeffrey Hoge, Charlie Irving*, Vic Kuligoski and Kelsey Shipley. Follow Scraps on her journey of self-discovery and her effort to shed herself of the patchwork quilt that she is made of in order to become a more “normal” person. Using the setting of America’s first fairy tale, this play explores racial and gender identity, and the myriad of people that make up the patchwork of this country. SCRAPS explores our capacity to love and our need to find intimacy through trust and friendship. 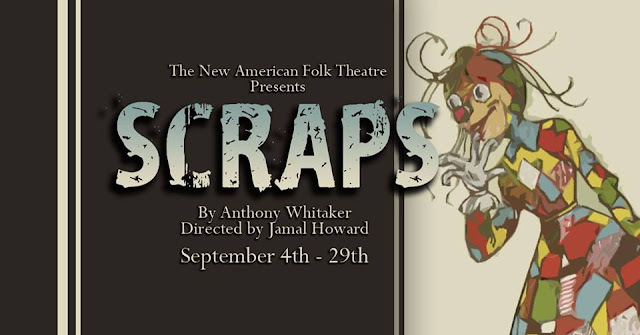 The production team for SCRAPS includes: Anthony Whitaker (scenic and puppetry design), Zachary Ryan Allen/The Spirit of Oz (costume design), Garrett Steinke (lighting design), John Nichols (sound design), Keith Ryan (wig design) and Shelby Burgus (stage manager). Cast (in alphabetical order): Brittney Brown (Scraps), JD Caudill (Ozma/Aunt Em), Preston Choi (Ojo the Unlucky), Kelly Combs (Princess Langwidere, Jack Pumpkinhead), Jeffrey Hoge (Uncle Henry, Dr. Pipt), Charlie Irving* (Dorothy, Barometra), Vic Kuligoski (Prince Evring, Tin Man) and Kelsey Shipley (Margolotte, Betsy, The Queen). Understudies: David Gallo, Katie Incardona and Ashley Joy. Regular run: Friday, September 7 – Saturday, September 29, 2018. Tickets: Previews: $10. Regular run: $25. Tickets go on sale Thursday, August 2, 2018 at www.newamericanfolktheatre.org or by calling (773) 697- 3830. SCRAPS is made possible in part through a grant from The Saints. Anthony Whitaker (Playwright) is the Co-Artistic Director of New American Folk Theatre (NAFT) and wrote the book and music for Dirty Girl, Salome Goes All the Way!, My Life Is A Country Song and The Marvelous Land of Oz. An expert in all things Oz, Anthony developed Scraps in The New Colony Writer's Room led by Evan Linder. Highlights of Anthony's work with NAFT include Directing the Jeff-nominated Summer of Daisy Fay, producing Dark of the Moon and performing in the Midwest Premieres of Deep in the Heart of Tuna, Johnny Drago's Trash and Hot Pink, or Ready to Blow. Chicago performance credits include ‘Twas the Night Before Christmas (Emerald City Theatre), Shockheaded Peter (Black Button Eyes) and A Funny Thing Happened... (Porchlight). He is a music and theatre educator throughout Chicago as well as a songwriter and musician. Anthony is represented by Big Mouth Talent. Jamal Howard (Director) is the Co-Artistic Director of New American Folk Theatre (NAFT) as well as the Artistic Associate at Emerald City Theatre (ECT), where he most recently directed and choreographed the Midwest premiere of Magic Tree House: Showtime with Shakespeare and The Wiz. With NAFT, Jamal directed the original musicals, My Life is a Country Song and Dirty Girl, a part of Underscore Theatre's Chicago Musical Theatre Festival, Dark of the Moon and Kennedy's Children. Originally from San Jose, CA, his love for theatre began at age eight when he started performing in musicals. Jamal graduated from Loyola University Chicago with a B.A. 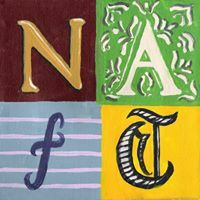 in Theatre and co-founded NAFT in 2012. He was featured on stage in NAFT's productions of Trash, The Marvelous Land of Oz, Two From the Trailer Court and Witches Among Us. He directed, choreographed and taught performing arts in grade schools on Chicago’s south side as well as The Beverly Arts Center. Other directing and choreography credits include Once on This Island, Hairspray!, Cats, Wendy and Peter (co-wrote) and Little Shop of Horrors.